Yes...Highway 229, which is the road you follow on the Secret Pass Scenic Drive, is actually paved. 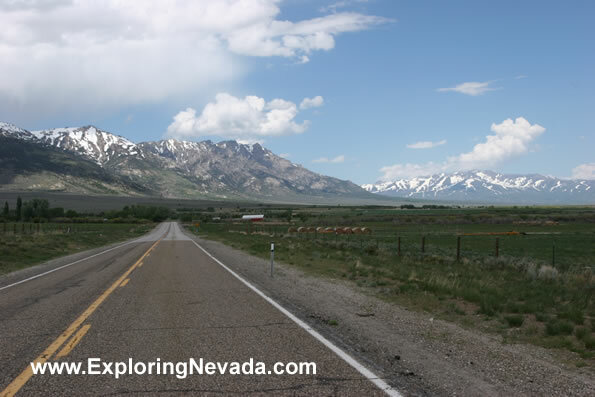 This photo shows the pavement, along with the towering peaks of the Ruby Mountains. Secret Pass itself is found in-between the mountains in the foreground and the mountains in the background.